Saikosan Anrakuin Genshinji Temple standing between Gyotoku Kaido Highway and Takumibori Tori is deepley related to the history of Gyotoku and Urayasu, so Joten Kano who was a big sponsor of Genshinji Temple built the Takumibori Canal to develop the farming land in Gyotoku and Urayasu with Takumi Tanaka who worked hard to cultivate Todaijima in Urayasu for his life. 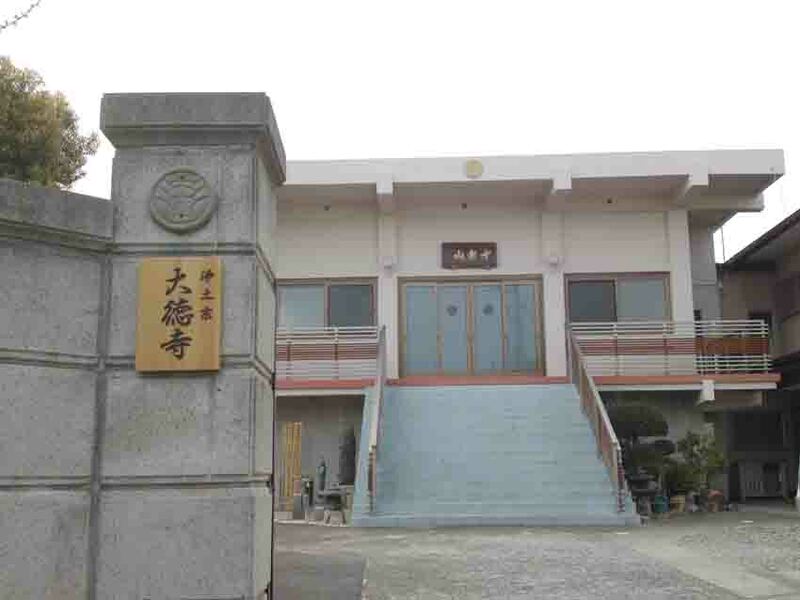 There are tombs of Joten and his wife in the temple. 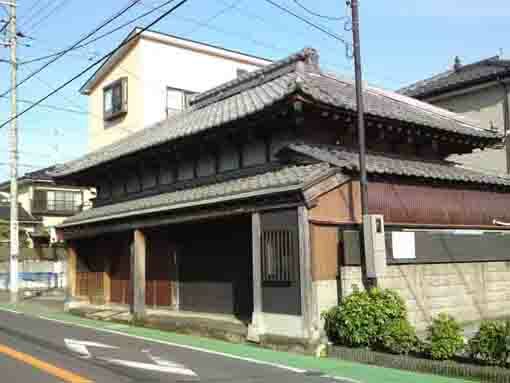 A small hall for Fudoson has been famous for curing warts and many people around Gyotoku believe it. 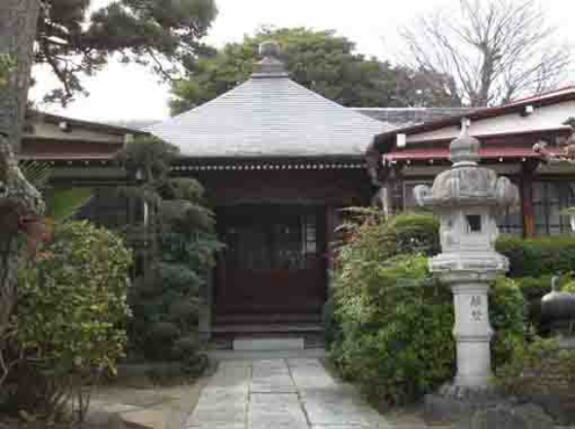 Saikosan Anrakuin Genshinji Temple is the 25th temple of the 33 Pilgrimage in Gyotoku and Urayasu. 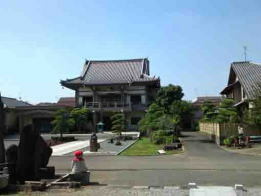 Why don't you visit Saikosan Anrakuin Genshinji Temple? 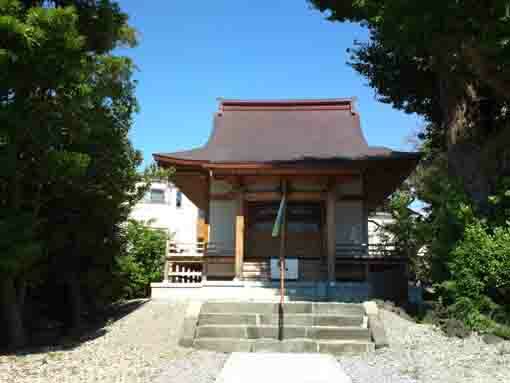 Anrakuin Temple was built to dedicate Fudoson. 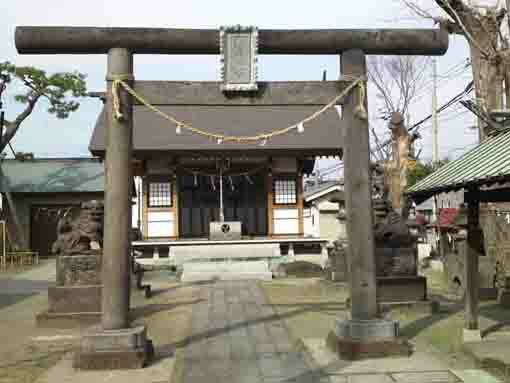 According to Katsushika Shiryaku (the short history of Katsushika), there was an old small thatched temple called Shonenji Temple as a branch temple of Kinzoji Temple in Imai in the site of Anrakuin Temple. Saikosan Anrakuin Genshinji Temple was built by the Most Reverend Priest Kanchi whom Ieyasu Tokugawa had believed in and he was the restorer of Shiba Zojoji Temple in Edo. This priest was a son of Shigetoshi Saemonnojo Yugi who was a retainer of Ujiteru Hojo and he was died in the battle of Hachiojijo Castle in 1590. At the same period, Shinuemon Kano a son of Ichian died in the same battle came to Gyotoku and believed in Kanchi, then he donated his fortune to build new buildings in 1611, it was teh beginning of Genshinji Temple. Later Shinuemon named Joten, he brought waste lands in Gyotoku under cultivation and he let villagers cultivate. 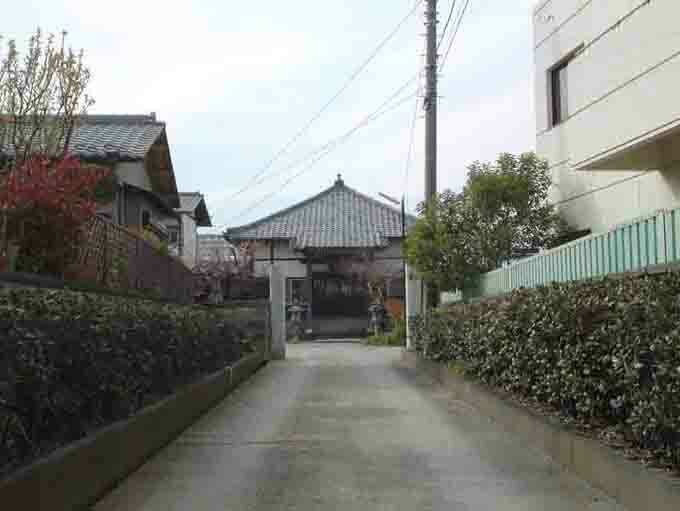 And he cooperated with Takumi Tanaka who reclaimed lands in Todaijima Urayasu to dig an irrigation canal that connected to Ogashiwagawa River in the east of Yawata that begins Hayashi Mizu Spring in Kamagaya. Then the canal passed through Minami Gyotoku (the southern part of Gyotoku) and reached at Urayasu, so it brought fresh water there. Then the canal named after Joten and Takumi, so it is called Jotenbori or Takumibori canal. The canal was very important irrigation canal to cultivate new farm land in Ichikawa and Urayasu. 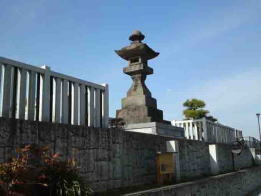 Joten was died in March 1629, and there are tomb stones of Joten and his wife and a monumental stone tower built by Senyo Jushin (a daughter of Joten) in Genshinji Temple. 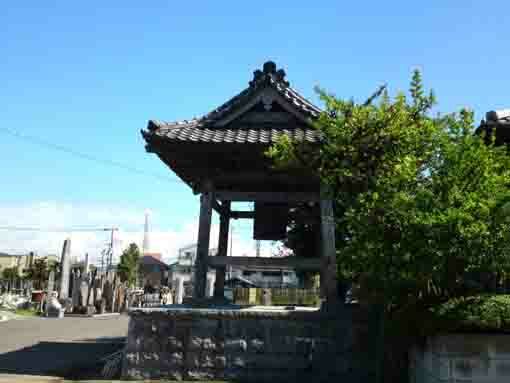 They are designated as municipal cultural assets of Ichikawa city. 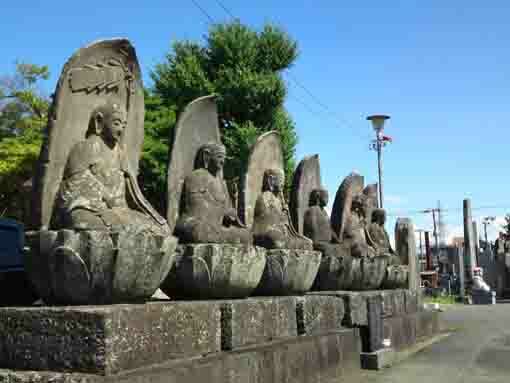 The five Jizos of Roku Jizo (the six stone jizos) in Genshinji Temple was built by Senyo Jushin's donation, and the second Jizo from the left is for Joten and the second one from the right is for herself. Saikosan Anrakuin Genshinji Temple was built by the Most Reverend Priest Kanchi whom Ieyasu Tokugawa had believed in and he was the restorer of Shiba Zojoji Temple in Edo. His father was Toshishige Saemonnojo Yugi, he was a retainer of Ujiteru Hojo and died in the Battle of Hachiojijo Castle. And Shinuemon Kano a son of Ichian died in the same battle came to Gyotoku and believed in Kanchi, then he donated his fortune to build new buildings in 1611. The main hall now standing was rebuilt in 2000. 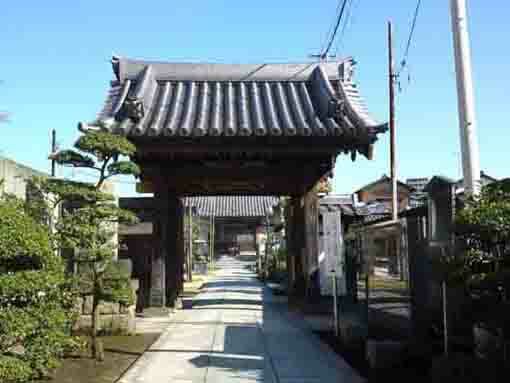 A small hall for Fudoson in Genshinji Temple has been famous for curing warts and many people around Gyotoku has believed it for a long time. Gomakyo (the holy fire for invocation) is held in 27 in January, May and September. In the New Year's Eve, many people come to strike Joya no Kane Bell in the temple. 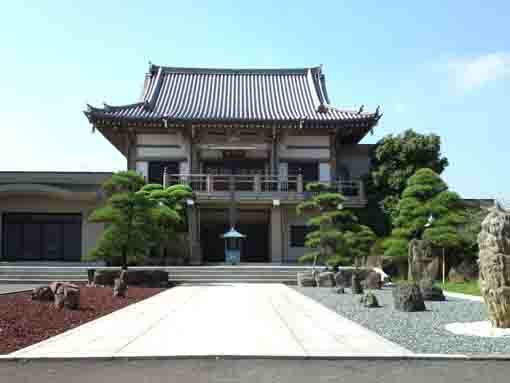 Saikosan Anrakuin Genshinji Temple has a great accessibility from both Narita and Haneda International Airport. From Narita International Airport, take JR Sobu-express line, transfer the line at Nishi-funabashi to Tozai line of Tokyo Metro bound to Nakano or Mitaka, get off Myoden Sta. And also take Keisei-line, transfer the line at Funabashi to Sobu-Local line, and transfer the line at Nishi-funabashi to Tozai line of Tokyo Metro bound to Nakano or Mitaka, get off Gyotoku Sta and Minami Gyotoku Sta. It takes minimally 60 minutes from Narita Airport. From Haneda International Airport, take Keikyu-line bound to Narita, transfer the line at Nihonbashi to Tozai line of Tokyo Metro bound to Nishifunabashi, Tsudanuma or Katsutadai, get off Gyotoku Sta and Minami Gotoku Sta. From Tokyo (Otemachi) Sta, take Tozai line of Tokyo Metro bound to Nishi-funabashi, Tsudanuma or Katsutadai, get off Gyotoku Sta and Minami Gyotoku Sta. From Akihabara Sta, take Sobu line bound to Chiba, Tsudanuma or Nishi Funabashi, transfer the line at Nishifunabashi to Tozai line of Tokyo Metro, get off Minami Gyotoku Sta or Gyotoku Sta and Minami Gyotoku Sta. Take 16 minute walk from Gyotoku Sta and Minami Gyotoku Sta. 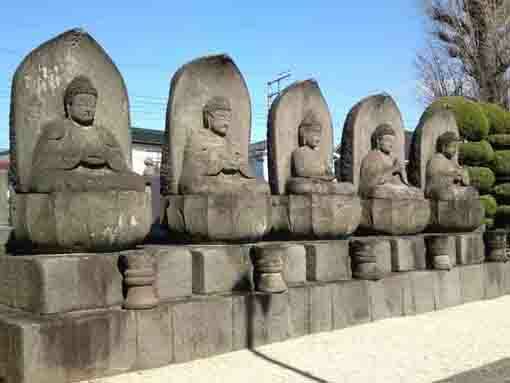 Or you can take buses from Urayasu Sta bound to Motoyawata Sta or Motoyawata Sta to Urayasu Sta, and get off 'Genshinji' bus stop in front of the temple.